Looking for an accommodation in Munich next to the English Garden? 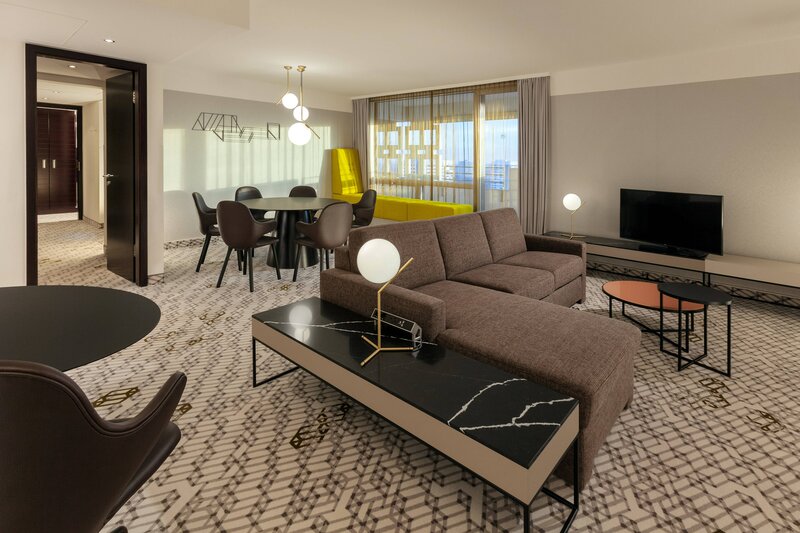 After a long day of discovering the famous Bavarian city, you will truly enjoy relaxing in one of our freshly renovated 446 hotel rooms and suites. All guest rooms are located from the 10th floor upwards to the 23rd floor with a fantastic view of the Arabellapark or the city and feature our superb Sheraton Signature Sleep Experience® beds for a guaranteed restful sleep. Whether you are traveling to a fair, for business, or with your family, our guest rooms at the Sheraton Munich Arabellapark Hotel will make you feel right at home from the first moment of your stay with us in Munich. 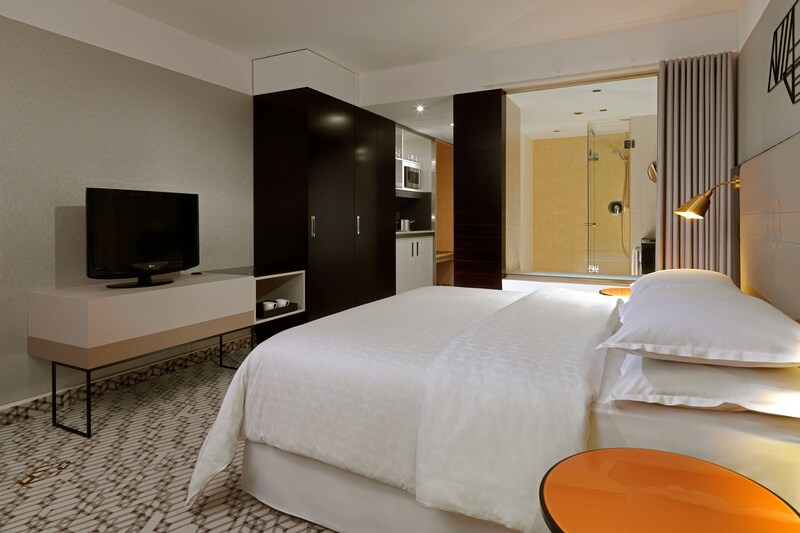 Make your dreams come true and choose to stay in one of our Club rooms or suites. Casting the perfect framework for your dreams, these categories come with complimentary access to the Sheraton Club, including its unique view from the 22nd floor and all its free services. Relish your deluxe accommodation with high-quality comfort in our Sheraton Signature Sleep Experience beds and wake up fully refreshed day by day. Feel just like at home with our studio rooms: You&apos;ll find everything for the perfectly prepared homemade dish in our fully equipped kitchenette. Whether you are meeting a business partner for breakfast, enjoying a romantic aperitif and the breathtaking view from our hotel in Munich, or simply reading your favorite newspaper in a quiet corner, our Sheraton Club, with its cozy atmosphere and courteous service, is the ideal place for happy moments and good conversations.